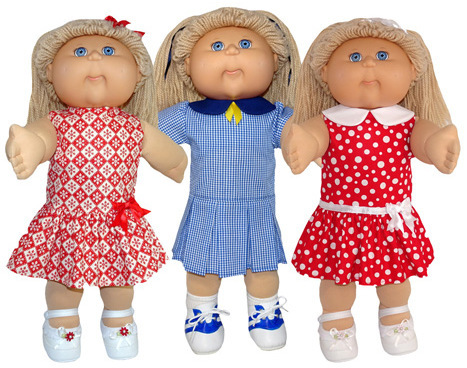 I am so thrilled to release my wonderful new Drop Waist Dress 5 Ways pattern for the 18 1/2 inch Cabbage Patch Kids. As the name indicates, this is a versatile pattern and can be made at least 5 different ways. 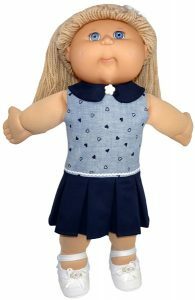 Start with the sleeveless option without a collar, then add the ruffled skirt and you’ll have a pretty dress done in no time at all. Want a little more style? Simply add the collar. When the weather turns a little cooler, make the dress with the sleeves. Then for something totally different swap the ruffled skirt for some pleats. Want a little more style? Simply add the collar. When the weather turns a little cooler, make the dress with the sleeves. Then for something totally different swap the ruffled skirt for some pleats. As you can see this pattern is fantastic value with so many options included. I’d love to hear what other variations you create with this pattern so please share in the comments below and send me a photo. 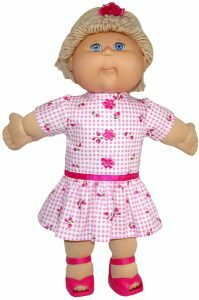 Get your Drop Waist Dress 5 Ways Pattern for 18 ½ inch Cabbage Patch Kids dolls now and start sewing these gorgeous dresses today.